Drinking Soylent – Sunshine. Whimsy. Tacos. 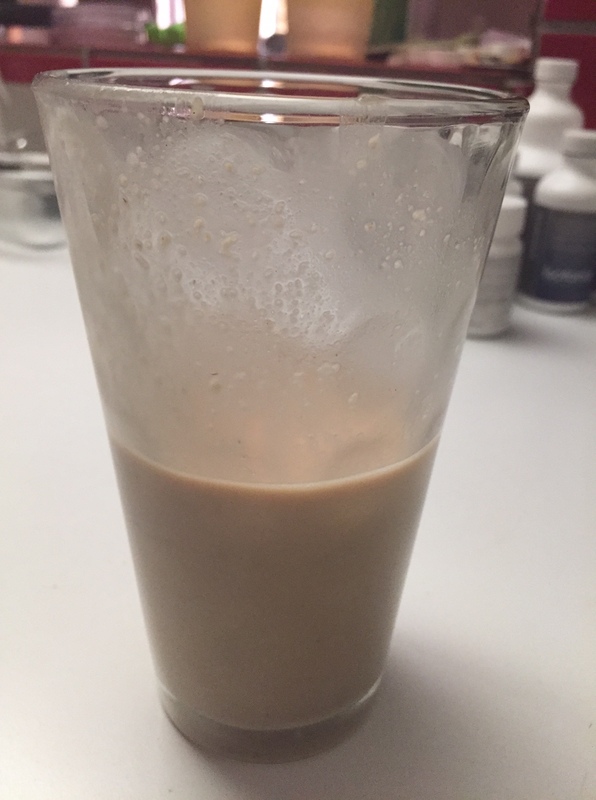 I’ve been drinking Soylent for a few months now, and I’ve been meaning to write about it because many of my friends have expressed curiosity about it. 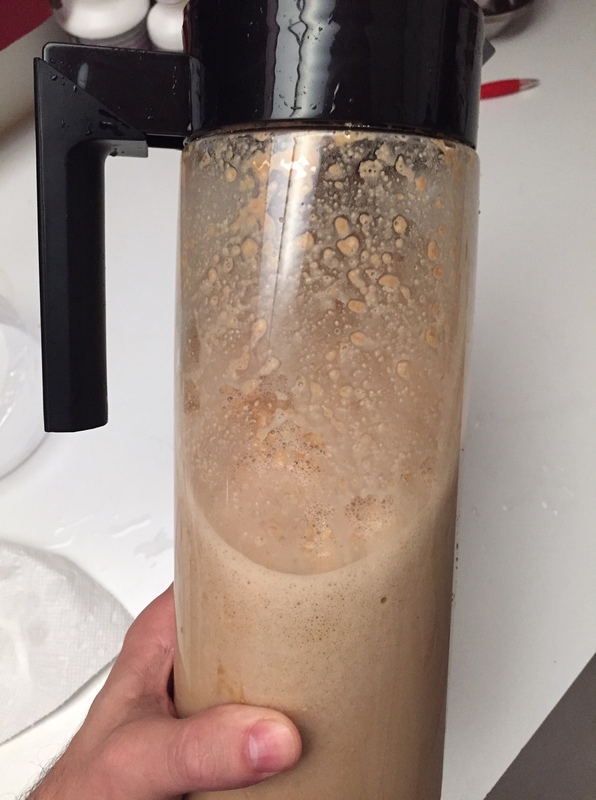 After the breakfast talk in last week’s post, I think this is a good time to post about my Soylent experience. Let me start by saying that the first person to make a Charlton Heston “It’s made of people!” joke will get a swift kick to the shins. I’ve heard it before, and it wasn’t funny the first, third, or eighth times. Soylent, for those of you who are unfamiliar with it, is a meal replacement product. It was created by software engineer Rob Rhinehart, because he hated how much time he was losing to the preparation and consumption of food. He decided to try to put all the nutrients the human body needs into a single liquid product, and when his initial trials worked out pretty well, he crowdfunded a larger run. That was back in 2013. 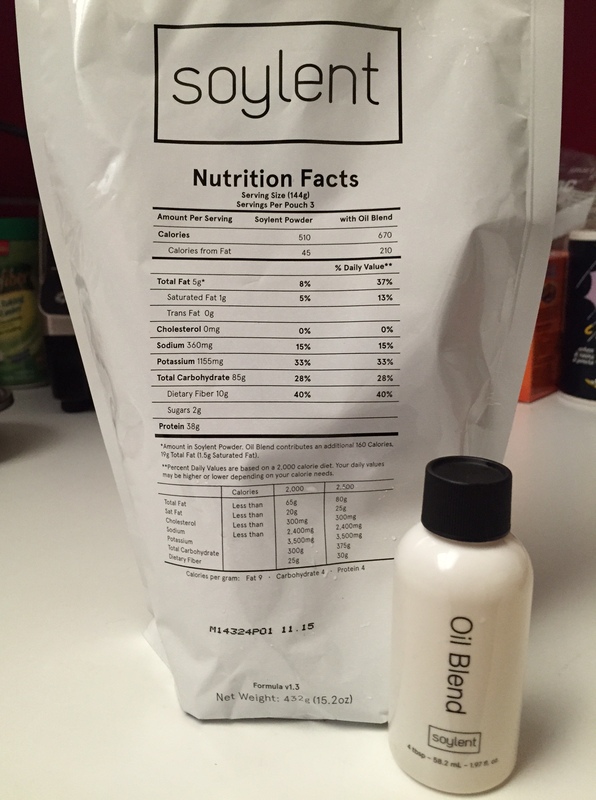 Much like a software release, Soylent has had versions, with the number incrementing as the formula changes. By the time I got into Soylent, it was at version 1.3. The instruction booklet that comes with your shipment is labeled “Release Notes,” which made me chuckle. Some people use Soylent to replace most of their meals, but I simply use it to fill in for breakfast. Before this product, I almost never had breakfast. I’m not a morning person, and my tendency has always been to crawl out of bed, throw on the next outfit in line in the closet, and crawl into the office. Eating breakfast is something that takes time, and I will always choose more sleep over a full stomach. This is a terribly unhealthy way to go, so I was very happy to find a way to include a breakfast that I could do without losing more than a minute or so. My first few shipments of Soylent came this way- a single pouch is supposed to be three servings. The little bottle of oil blend has to be mixed in to complete the nutrition profile- there are some things included which the body won’t absorb without oil added. Inside the pouch, the Soylent is a very fine powder which gets everywhere if you’re not careful. So the basic instructions, without getting into too much detail are that you mix water and powder, shake for a bit, add the oil, add more water, shake it a bit more, chill the whole shebang, and enjoy. This photo is halfway through the mixing, just before I added the oil. The fully mixed thing looks pretty decent. It will separate a little bit over time, but shake it again before you drink it and it’s all good. The flavor is very neutral, and the release notes even provide suggestions for ways to change up the flavor by mixing in peanut butter or Hershey’s chocolate syrup or bananas. Drinking a glass of this is the equivalent to a full meal, and it’s quite effective at squashing my hunger. Some people find it a little bit gritty- version 1.3 tends to leave a little on the sides of the glass, as you can see here. It’s not unpleasant, and I’ve gotten used to it. You just have to remember to rinse your glass as soon as possible after you finish your drink. The next iteration of Soylent, Soylent 1.4, was just announced. They have changed from the liquid oil to a powdered oil form, so there are no more oil bottles included. I haven’t had 1.4 yet, but those who have generally say that it’s a little bit sweeter, smoother, and more like a nutrition shake in consistency. One reviewer called the texture of 1.4 “velvety,” which is kind of intriguing. Apparently the 1.0 version tasted a little bit like cake batter. I’m kind of sorry I missed that one. Still, they strive for a neutral flavor profile, and I’m all for that. I think that any strong flavor would get old really fast. There are critics of Soylent’s nutritional balance. I agree that it’s not necessarily the best nutrition out there. Soylent will never replace a meal out with friends or family. It’s better than going without breakfast, though, and that’s good enough for me right now. Have you tried Soylent? Would you? What do you think about meal replacement drinks? A rare post about my job. I’d never heard of this brand before. Does it keep long? Personally I am a morning person. I can tell you right now that people can forgive you for many other things – differing religions or political views, being obnoxious, being a serial killer–before they’ll forgive you for being a morning person! 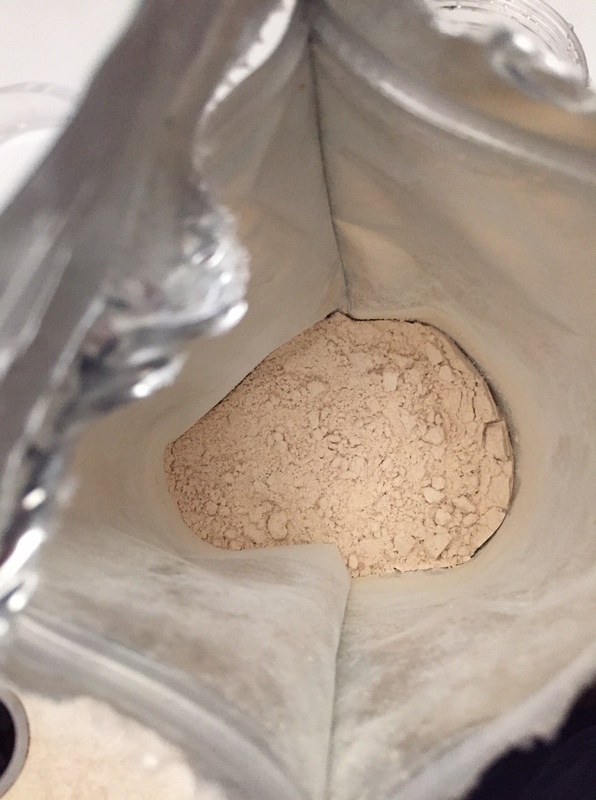 The unmixed powder has a long shelf life, something like two years. Once you mix it, you’re supposed to consume the mixed drink within 48 hours, but I sometimes stretch a pitcher to a fourth day. Imho breakfast is optional – I’m no morning person as well and I almost never have breakfast (actually, I can go the whole day (until diner) without food). For me, breakfast would only add more calories to the day without providing any benefit. I wouldn’t call your dining habits typical by any stretch of the imagination, though. And given your exercise habits, I’m actually kind of amazed that you don’t usually have pre-dinner meals. You must be starving. Nah, not eating the whole day (like yesterday) only leads to a short span of hunger in the early afternoon which goes away after like 30 minutes. My excercise habits have suffered a bit – I only did like 3 training sessions between beginning of December and beginning of March! In practice, five minutes of mixing and shaking nets me roughly four days of breakfast, which only involves pouring it into a glass at the time of consumption. Most of my foodie friends would never want to do something like Soylent, but as you say, it’s all about getting through that first hour of the day. That’s so interesting! I had never heard of that but it’s interesting! There were some times I would down a protein shake in between classes while teaching because I needed some extra protein to get me through it. I bet something like this would be practical, too! There was a time in my life where cans of Slim Fast were pretty much all I’d ingest til evening. And then I got in such the habit of drinking them that when I had time to eat, I’d eat AND drink a Slim Fast. Not that I needed to slim, fast, of course. That was a confusing time in my life anyway so I have no excuses or logic to what I was even thinking! I was totally into protein shakes til I realized that most are sweetened with sucralose and I’m not a huge fan of the aftertaste. Oh and the whole allergic-to-soy thing cuts down on the options for me there. The few good quality ones I’ve tried and liked are super expensive to justify drinking them instead of just eating food. 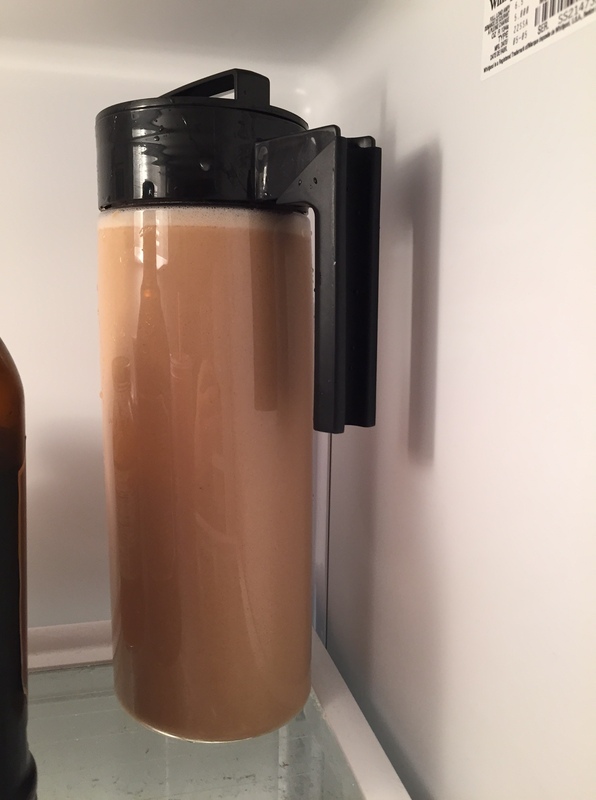 Have you tried mixing the Soylent with coffee? I saw someone post that on Twitter and am just now remembering to tell you about it. Woops! oh I’m not sure I could do this. I’m deffo not the kind of person who could replace a solid meal with a liquid. I spend over an hour in my car each morning going to work and need to be in the car by 7.20 so I usually do overnight oats and eat them at my desk.